Virginia Department of Health > Blog > VDH > May is Better Hearing & Speech Month! 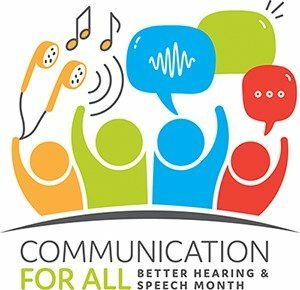 Communication disorders are among the most common disabilities in children nationwide, with 11% of children ages 3–6 having a speech, language, voice, or swallowing disorder—and almost 15% of school-age children experiencing some degree of hearing loss. Timely intervention is important, as untreated speech/language and hearing disorders can lead to problems with reading and writing, academic success, social interactions, behavioral problems, and more. These disorders are highly treatable and, in some cases, can be reversed or even prevented. The Virginia Early Hearing Detection and Intervention program (EHDI) encourages families to learn the early signs of hearing loss and seek follow up testing as early as possible for their child. Please join the VA EHDI program in raising awareness for better hearing and speech development for children during the entire month of May!